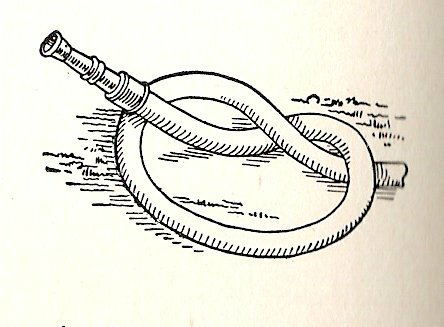 Where there is no prop or water sprinkler at hand for tilting the nozzle of a hose, start to tie a knot in the hose, as shown in the sketch, but do not draw it up tightly. the hose nozzle can be tilted to any angle in this manner. - Contributed by S. J. Eddy, Portland, Oregon.